Ready for a challenge? This gravel grinder will test your mettle with distance and elevation, but reward you with incredible vistas, tasty wineries, and a perspective of the wide array of farming that happens in the Willamette Valley. The amazing quantity of birds and wildlife you’ll see along the way is a bonus! This route starts at the @point[Park and Ride](d,31.72) directly across Highway 22 from Baskett Slough National Wildlife Refuge. The early and late sections of the ride travel through the Refuge, offering a front row view of an ever-changing array of migratory and regional birds. Don’t think that you’ve left the birds behind once you leave the Refuge. 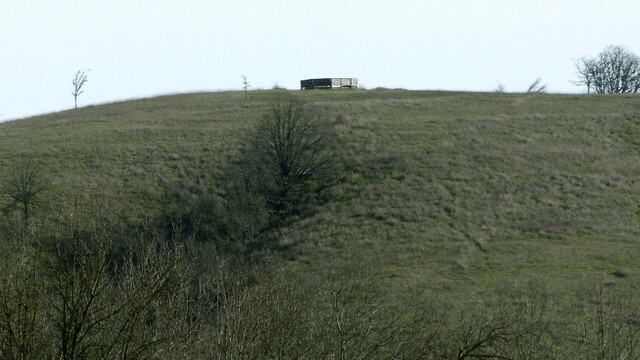 The surrounding farmland also offers excellent birding habitat. Early in your ride, you’ll pass @poi[Van Duzer Winery](1036648) – named for the winds that pass through this portion of the Willamette Valley and create ideal conditions for growing excellent Pinot Noir grapes. Take an early break, or continue on through rolling hills of farmland dotted with ancient oak trees. The tiny community of Perrydale provides a testament to the historic prosperity of farming in this area. Several architecturally impressive historic homes can be seen along the route. If you need a pick-me-up, the more modern B’s Buzz Coffee provides drive through beverage convenience. 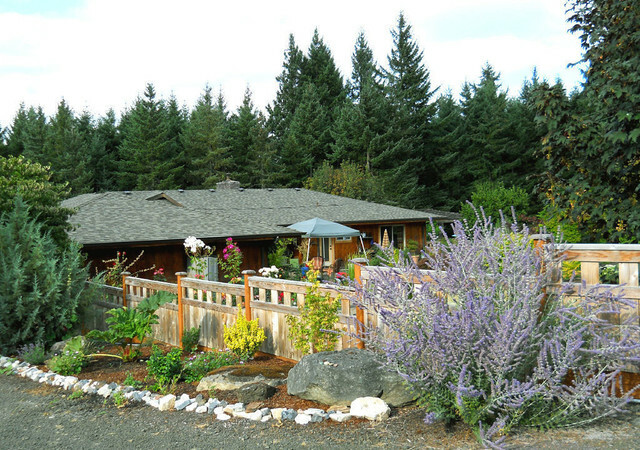 For those looking to make an extended stay in the area, the lovely and bike-friendly certified @poi[Bethell Woods Bed and Breakfast](1038755) offers one-of-a-kind accommodations just 4 miles off the route. The route continues west and north through hillier terrain with woodlots, Christmas tree farms and the @poi[Pleasant Hill Pioneer Cemetery](1036642). Shortly before reaching the town of @poi[Sheridan](1036652), the road becomes asphalt, and passes the Federal Correctional Institute, a major regional employer. Remember, don’t pick up hitchhikers! Sheridan itself is a quiet town with a historic downtown located on the South Yamhill River. The town was almost entirely destroyed by fire in 1913, and then experienced severe flooding in 1964. Today it has several restaurants and stores, and makes a good stopping point. The City Hall building is the town’s historic train station. The route east of Sheridan is entirely on asphalt through classic rolling farmland until reaching @poi[Amity](1036653), a small town that is experiencing a rebirth due in part to the region’s wine industry. Several wineries and tasting rooms are located in town, including @poi[Coelho](1036654), and if you’re planning to stop for a bite to eat, you can’t go wrong with @poi[The Blue Goat](1036650). Their ever-changing, locally-sourced meals and wood-fired pizzas draw foodies and locals alike. The town also has a few shops a grocery store and a farm stand, so it’s a great place to rest and recharge. Heading south, the road turns back to gravel and passes a vast expanse of berry fields. The windmills in the fields are actually fans, which are turned on during cold fall evenings to prevent the fruit from freezing and bursting. If you are tempted to stop and try some, wait until you reach @poi[Cherry Country](1036677) whose chocolate covered cherries give a new appreciation to the terms “fresh and local.” The hills to the east of the route from the famous Eola-Amity AVA, and are dotted with dozens of vineyards and wineries. @poi[Cherry Hill](1036678) and @poi[Orchard Heights](1036680) can be reached with only a minor detour. As the route loops back to Basket Slough, it passes several more wineries, including @poi[Firesteed](1036679), @poi[Johan Vineyards](1110130), and @poi[Left Coast Cellars](1036681). If you need a shot of courage for the last couple miles, now’s the time. 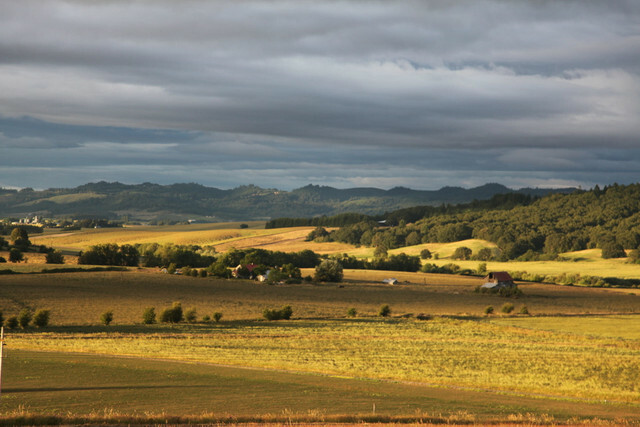 The last miles run directly through the Wildlife Refuge, offering one last opportunity to take in the scenery, wildlife, and wonder of the Willamette Valley. Western Valley Cycling would love your help bringing this route to a wider audience.